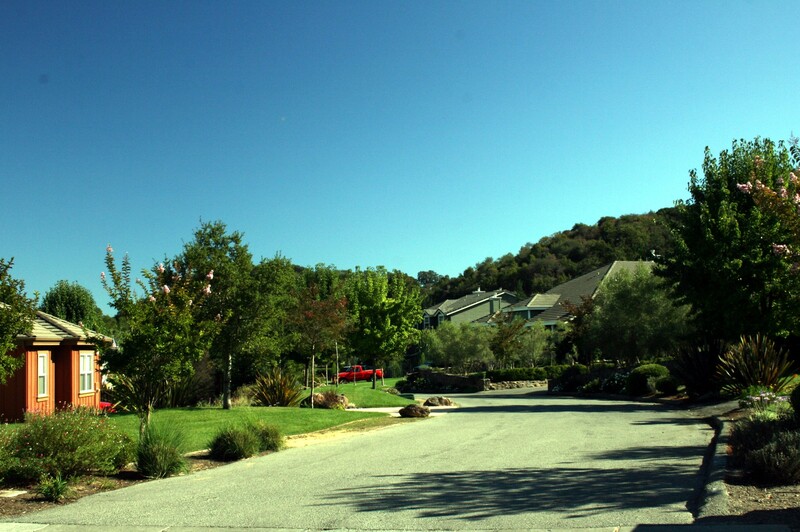 Novato’s Rush Creek neighborhood is undeniably one of Marin County, California’s, nicest and coveted neighborhoods. There is a lot to like. These luxury homes are newer, built in the past 10 years, and sit on giant parcels (generally, at least 1/2 acre). Many of these homes have pools and elaborate landscaping. The streets are wide and there is no through traffic. 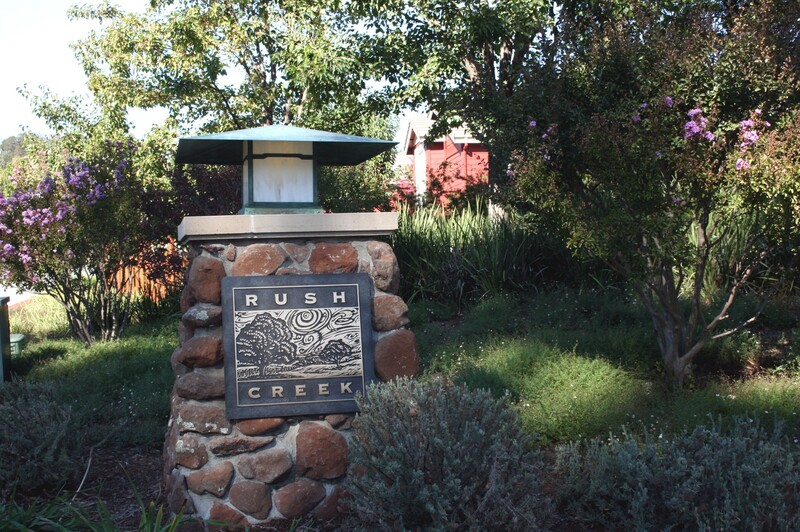 Rush Creek offers privacy and prestige. Rush Creek’s proximity to HWY 101 and a recently renovated downtown Novato with lots of great shopping, a farmers market, Trader Joe’s, Whole Foods (set to open in the next few months), and various restaurants, is also desirable. 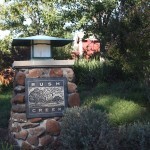 Adjacent to the neighborhood is Rush Creek Open Space Preserve. As you can see from the above picture, Rush Creek is a quiet, down-home neighborhood with wide streets, mature landscaping, and lots of privacy. 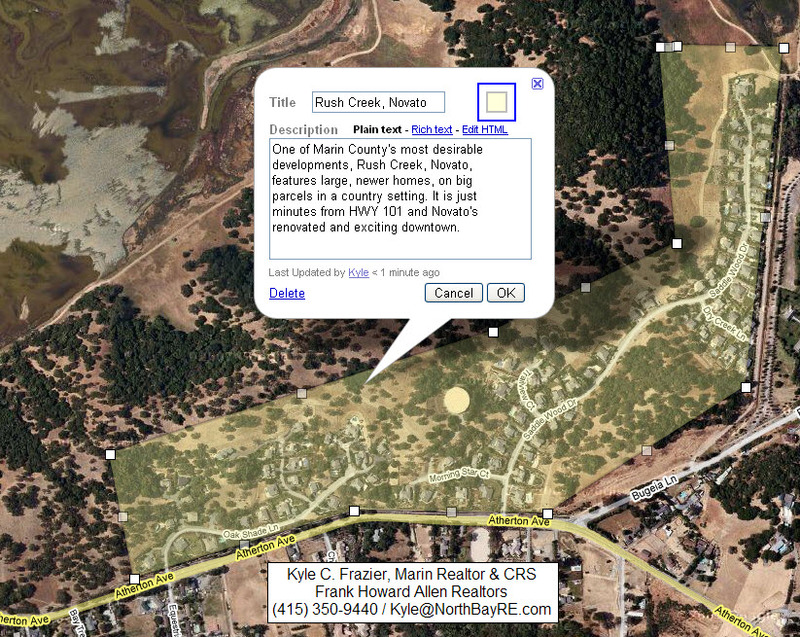 Homes in Novato’s Rush Creek have dipped in price during 2008. So far this year, we have seen 6 sales, ranging in price from $1.1 million for a 2,779 square foot home on Saddle Wood to $1.465 million for a home down the street with 4,196 square feet. The rest sold between $1.18 million and $1.275 million. The above map outlines the borders of Rush Creek. To the West is HWY 101. For a list of current homes for sale, call Kyle C. Frazier, Marin Realtor & CRS, at (415) 350-9440.